Big shout out toCBSI member andGlaswegian PeterClimie for the tip on this book. I wasn't even aware of it till he mentioned this to me on Wednesday.This book was selling for 5x cover on the morning of release and was selling like hot cakes. 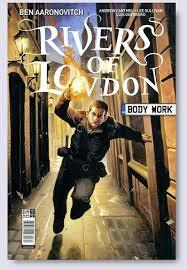 Don't know much about the series itself except that it is a continuation of the best-selling novels by Ben Aaronovitch. It is now selling for £15 to £20 ($22.50 to $30) for standard cover and £30 ($45) for the 1:10 variant. If only there were spec books like this every week. This was one of those rare flip gems that came out of nowhere and think these have legs as well as the books obviously have a big and loyal following. 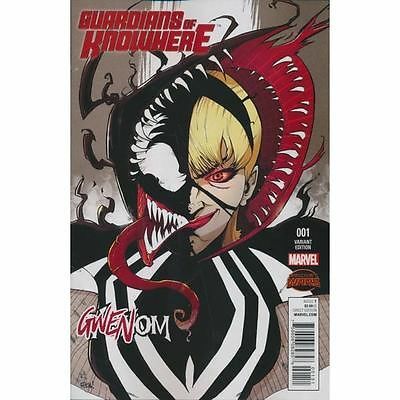 First became aware of this book when head honcho Trey Kenyon posted it in the CBSI Grading club page and knew with the winning combination of Gwen, Venom and one of my favourite artists from one of my favourite series (Chew) Rob Guillory that this book would be good spec. Whilst it is only selling for double cover at the moment this cover has potential to be remembered as a classic and should see a steady rise over time. Curious as to the number out there of the gwenoms…. Passed on the 2 Rivers that were at my LCS as they were both not in great shape. Was that the norm for that book? I snagged two of them and they were NM. But I’ve also seen beat up books that others did not have that issue with at their LCS. 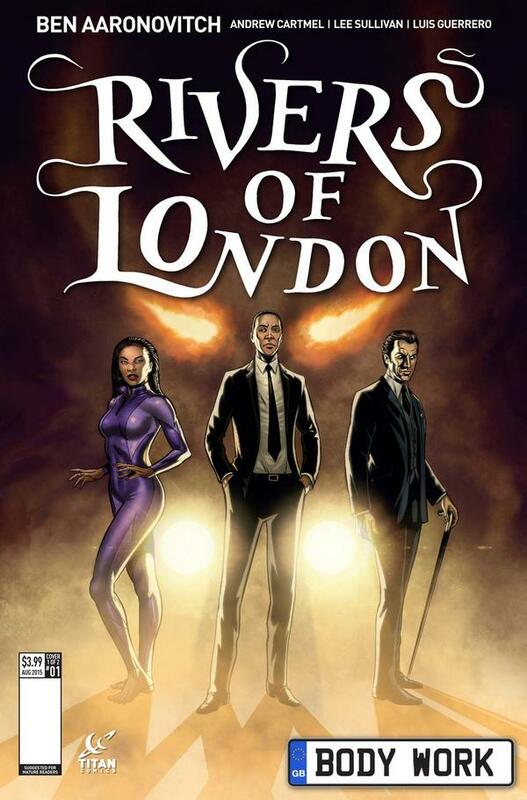 Gonna check out rivers of london. Is nice to have a comic of places you come from every now and then. I preferred Guillory’s Thor Annual variant (released Feb 2015). I am done with Gwen covers. I also couldn’t find any Gwenom covers for Guardians of nowhere #1. good thing I was able to get 2 guaranteed CBCS 9.8 from the CBSI grading society.